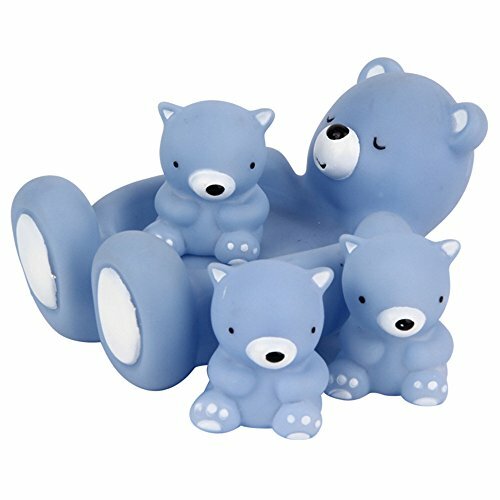 Looking for a way to contain your gpu mining rig in a handy little package? 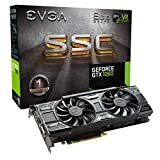 Are you ready to move past the stage of having GPUs, computer parts, and PCIe and USB cables spread all over your floor? While cases don’t actually contribute to the profitability of your mining rig, they do make it easier to assemble, manage, and troubleshoot your rig if something goes wrong. Plus, they look cool! If you’re looking for the cheapest mining rig frame, then you’ll want to consider building your own out of wood. That’s what I did, and it cost about $6 to buy the wood and I used some screws I had laying around. 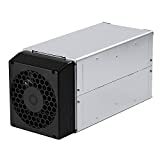 If you want a mining rig frame that’s a little higher class, here are some great commercial options – built out of aluminum, they don’t transmit electricity so they help protect your mining GPUs and rig components from shocks. Plus, unlike wood, aluminum is heat and fireproof! Also, if you’re planning to really work your GPUs hard, most of these mining rig cases have a place to mount additional cooling fans directly in front of the GPUs. 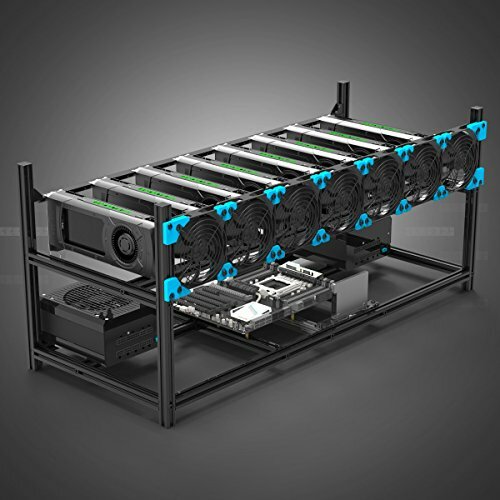 This one comes with a power switch, as well as a hardware kit with tools and screws to connect all your mining rig components to the rig frame. This mining rig case utilizes laser cut acrylic sheets for mounting your GPU risers and motherboard and power supplies to it - some other frames simply suspend the motherboard or GPUs between aluminum crossbars. One downside is that the acrylic sheets would ever so slightly reduce airflow around the mining GPUs. An aluminum frame stackable mining case that comes with cooling fan guards (not the fan) as well as the plastic pieces to mount the fans. 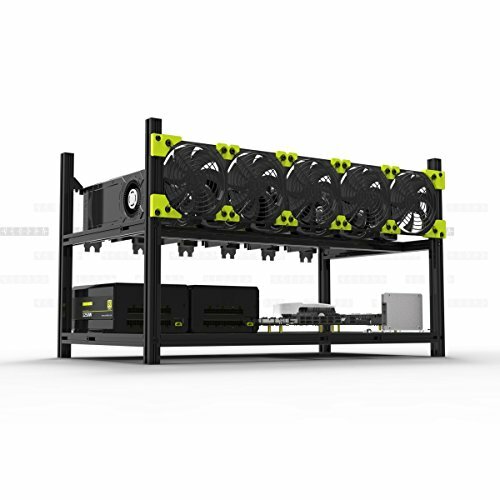 A highly rated aluminum stackable mining rig frame for GPU mining rig with 1 year warranty and 30 day return guarantee. 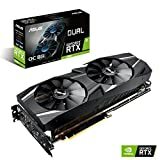 Perfect for any type of GPU mining rig such as Ethereum, Zcash, Zencash, Dogecoin, etc. Also works for Bitcoin ASICs (so they say). 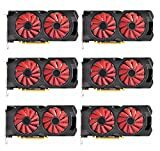 8 GPU mining rig case. 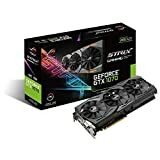 Does not come with fans, requires 7 - 120mm computer fans for additional cooling, or it can be built without. 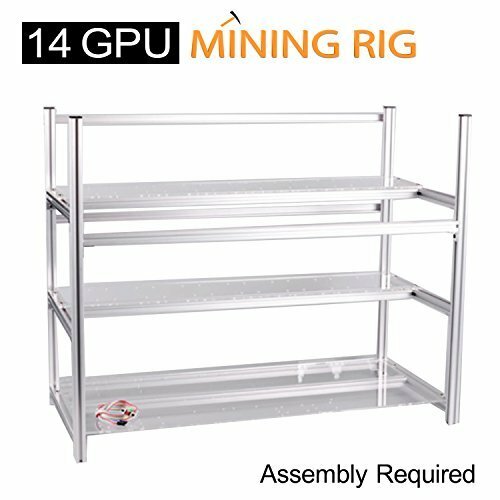 8 GPU mining rig case does come with tools and hardware for assembly. Assembly can take up to 2 hours if it's your first mining frame build, but can be done in about 20 minutes if you've done it before. 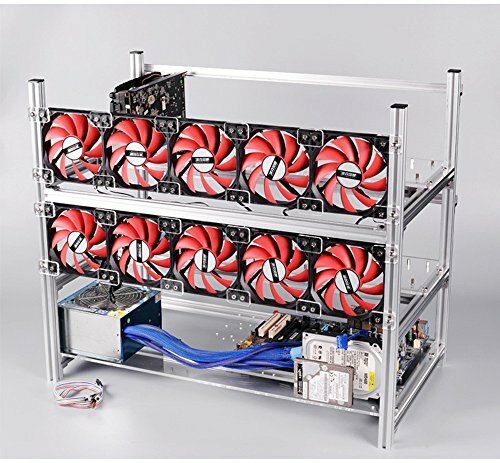 3 year warranty and a 30-day return guarantee make this mining frame very popular. This aluminum 12 GPU mining rig frame has a 1 year warranty and a 30 day return guarantee. No accessories are included except for the screws required to assemble the frame. Need even more space for your GPUs? 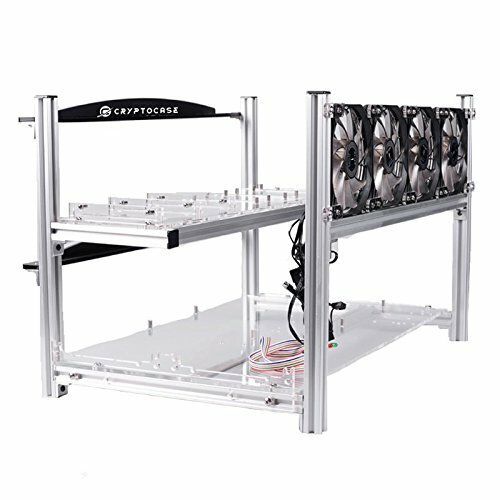 This 14 GPU mining rig case is stackable, and comes with screws and mounting accessories.